Thanksgiving hasn’t changed much in the last hundred years. 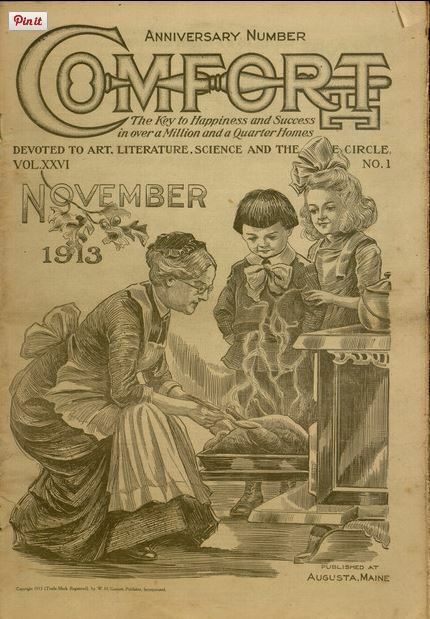 As shown on the cover of Comfort magazine, a journal “devoted to art, literature, science and the home circle,” the turkey takes center stage as families gather together. (‘Cats have to wait for scraps.) Go a little further in and you’ll find recipes on page 5 that will have your mouth watering, especially the cinnamon rolls. Thinking of raising turkeys? Check out the fact-filled article, Poultry Farming for Women (p. 14). In the mood to make Christmas gifts? Go directly to page 40! This journal isn’t just tips and tricks, there are stories too. Find out the truth of the Van Alvords’ Thanksgiving! This issue is just packed with old-timey holiday goodness! Read it today and you’ll be ready for Thanksgiving and beyond! 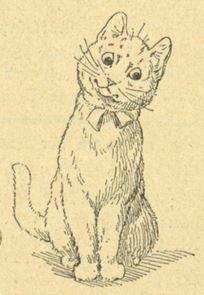 Images of Comfort magazine and Cat and Mouse from the Villanova University Digital Library. ‘Caturday post by Luisa Cywinski, writer for Communication & Service Promotion team and team leader of Access Services.